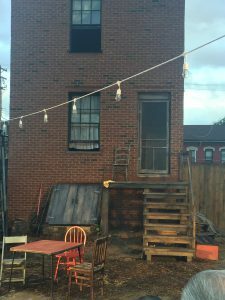 Despite the fact of the rain, a play was performed in the backyard of August Wilson’s childhood home on Bedford Ave. in the Hill District. 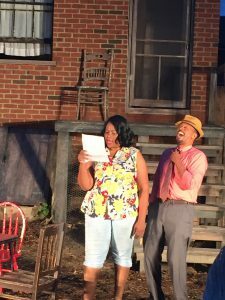 August Wilson’s play, Seven Guitars, was performed by Jonathan Berry (Floyd “Schoolboy” Barton), Kevin Brown (Canewell), Leslie “Ezra” Smith (Red Carter), Ty Barrow (Vera Doston), Teri Bridgett (Louise), Wali Jamal (Hedley), and Jamilah Chanie (Ruby). The play takes place in 1948. 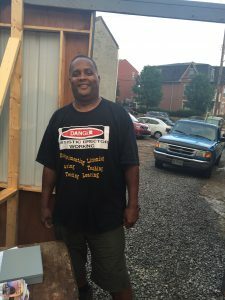 It’s about an aspiring blues artist who just got out of jail and has an opportunity to make a record after his song “That’s Alright” becomes a hit. The play is considered a tragicomedy. It’s considered a tragicomedy because the play contains some tragedy and comedy. 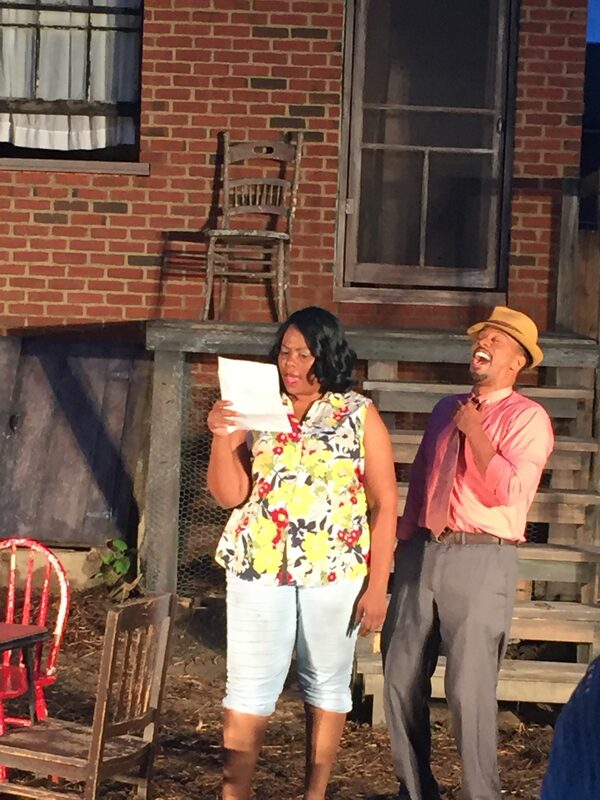 The play was directed by Mark Clayton Southers who met August Wilson himself in 1998. Mark is a stage director, playwright, photographer, theatrical producer, scenic designer, and the founder of the Pittsburgh Playwrights Theatre Company. He started directing approximately 15 years ago and has directed almost 60 plays! 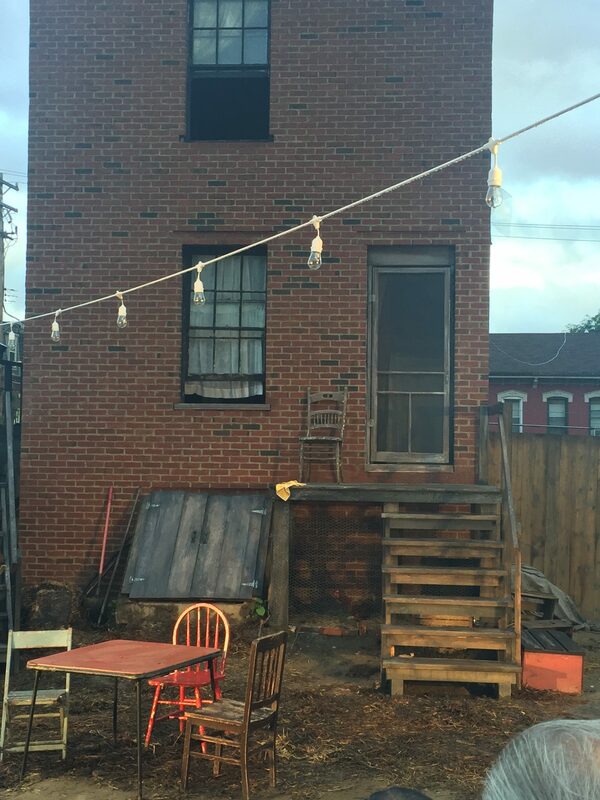 Mark chose to have the play performed in the backyard because August Wilson wrote the play to take place in his backyard. The actors and actresses did a job well done in portraying the lives of African Americans in 1948. With the occasional laughs and “ooos” the tragicomedy was intriguing with a shocking ending. Madison Arnette Is a tenth grader at Franklin Regional High School in Murrysville, PA. She has interviewed students at her schools homecoming bonfire that happens every year before homecoming and the homecoming football game. 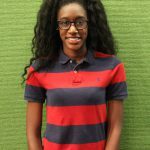 Aside from interviewing people, she also likes photography.